With Santa's love for chilly environments, one of his favorite sports surely must be ice hockey! 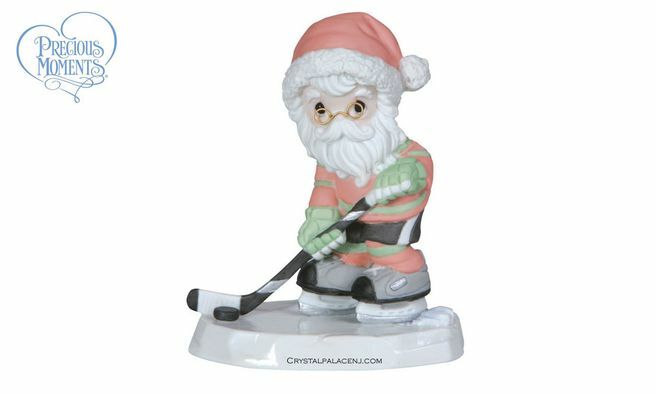 Zooming for a goal, in the back of his mind he must be thinking of the lists he must check when he gets back to his North Pole village. 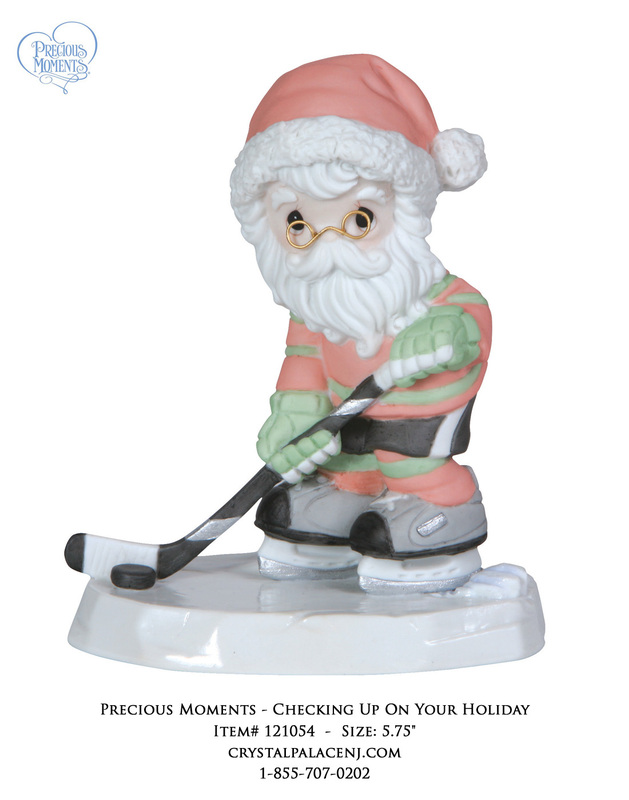 A fun gift for the hockey fan on your list! Bisque porcelain figurine. 5 ¾" H.
Copyright ï¿½ Crystal Palace Corp.- ï¿½ Crystalpalacenj.com All rights reserved. All trademarks and brands are the property of their respective owners.